The ultimate India Odyssey covering the length and breadth of India. Visit the spectacular City Palace & Jantar Mantar observatory and the awe inspiring Amber Fort overlooking Jaipur city. Discover Delhi with all its opulence and historical splendour. Not to be missed is the magnificent Taj Mahal and impregnable Red Fort at Agra. Experience the wilderness first-hand at Ranthambore with an Indian Tiger Safari. 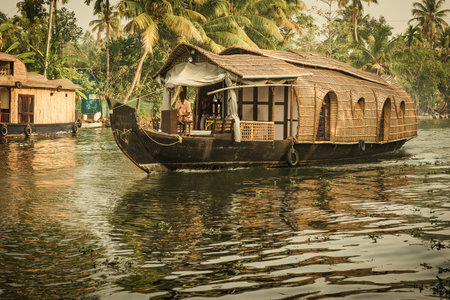 Sandy beaches of Kerala with an overnight stay in your own private houseboat exploring the backwaters and lagoons. The houseboat stay has been consistently voted amongst the top 50 lifetime holiday experiences by travellers the world over. Travelling with car and driver in India gives you the independence and flexibility to determine your own itinerary, accommodation and way of travelling. 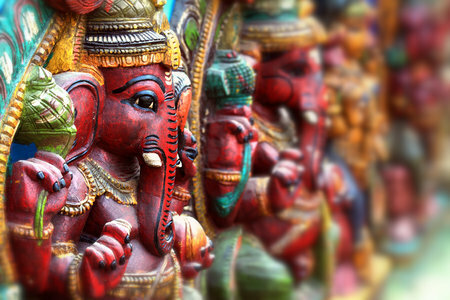 A surcharge of £195 per person will be applied to all tours spending Christmas and New Years Day in India. Fly from London Heathrow. Other airport options available and can cost extra. Flight details and information can be obtained by calling or emailing us. Travel by road to Mandawa ad begin your journey in to Rajasthan, the land of palaces and forts and alive with myths and folklores. Your first destination in Rajasthan will be the outpost of Mandawa, at the very edge of the Great Indian Desert, and once a bustling market town on the old silk route frequented by caravans and merchants from the world over. Mandawa: A lovely, subdued market town and an excellent base for exploring the region. It was settled in the 18th century, and then fortified by the dominant merchant families. On arrival check-in at the Heritage Hotel and day spend at leisure or exploring the local area. The car with driver will remain with you till your return to Delhi. The day is spent exploring the local town and visiting the local market place, Lot of opportunities for camel and horse riding. You have the car and driver at your disposal to visit the nearby small towns dotted with old stately homes and market places which provide for excellent photo opportunities. Visit Castle Mandawa (or stay in it with our premium package). The old fort houses a small museum and is still occupied by the Mandawa Royal Family. 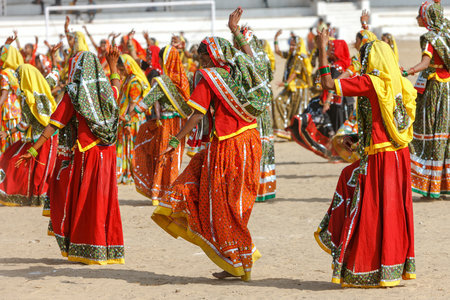 Check Out from Mandawa and transfer by road to Jaipur. (165 km and approx. 2 hours 50 minutes excluding sightseeing & stoppage). Jaipur: The capital city of the state of Rajasthan is popularly known as the “Pink City” because of the pink paint applied to the buildings in the old walled city. (In Rajput culture, pink is a colour traditionally associated with hospitality) The city owes its name and origin to the great warrior king and astronomer Maharaja Jai Singh II (1699-1744). On arrival, Check-In at hotel. Afternoon city tour of Jaipur includes: City Palace Museum – An imposing blend of traditional Rajasthan and Moghul architecture. The museum is resplendent with its collection of robes of Royal Princes, carpets, armoury of old weapons, miniature paintings of court scenes, famous battles and processions, Visit Jantar Mantar (observatory)– an accurate observatory built in 1726 AD. Morning excursion to Amber fort by Elephant/Jeep Amber Fort – Located 8 miles north of the city Amber Fort is Jaipur's crown jewel built in the late 16th Century. A marvellous example of Rajput architecture with its terraces and imposing ramparts, the forts interior has various royal halls decorated with intricate ivory work, exquisite wall paintings and tiny mirror chips, which create a tantalizing reflection effect. The rest of the afternoon is at leisure or for discovering the city of Jaipur. Check Out from hotel & transfer by road to Ranthambhore. Situated in Eastern Rajasthan, Ranthambhore National Park was once the hunting preserve of the Maharajas of Jaipur. River Chambal in the South and Banas in the North, mark the boundaries of the National Park. For the wildlife savvy, Ranthambhore offers an immense diversity of flora and fauna. Though no one can guarantee Tiger sightings, Ranthambore is rated as one of the best places in the world to observe them. There are also a large numbers of Sambhar, Chital, Nilgai, Gazzelle, Boars, Mongoose, Indian Hare, Monitor Lizards and a large number of birds. On arrival, check-in at hotel. The day spent at leisure or exploring the areas surrounding the wild life reserve. Ranthambore is the tiger reserve where most professional photographers head for to capture a tiger in their lenses. If you are seeing a wild life photograph about India and Tigers, then the chances are it was taken in Ranthambore. Tiger Safari: Morning option or Afternoon Option. Check Out from hotel & transfer by road to Fatehpur Sikri (160 Miles and approx. 5 Hours excluding sightseeing & stoppage). Alternatively take the early morning (07:00 AM) train to Bharatpur Junction, where your car and driver will be waiting to receive you and take you to Fathepur Sikri. This is a 2 hour 18-minute journey A/C chair car. Please speak with your travel advisor for this option. (Train Journey option £18 -£25 per person) Fatehpur Sikri is an abandoned red sandstone city built by Emperor Akbar in the 15th century. It is a veritable fairy tale city with its ‘ruins still in a pristine condition. It is not hard to imagine what the court life must have been in the days of its grandeur. Continue road journey to Agra. Agra became the capital of Sikandar Lodi in 1501. It was under Emperor Akbar that Agra first aspired to its heights of magnificence. From 1570-85 he ruled from nearby Fatehpur Sikri. His successors ruled from Agra till 1761 till it fell to the Jats, who did much damage to the city. Taj Mahal Visit the Symbol of Love “TAJ MAHAL” on traditional horse carts known as Tongas, which are the preferred means of transport in the old city area – (Taj Mahal is closed on Friday. If arriving on a Friday, then we visit Taj Mahal Saturday morning) Taj Mahal (1631-1653) built by Emperor Shah Jahan in memory of his beloved wife, Mumtaz Mahal. The famous Indian writer and poet, Rabindranath Tagore, called it "a teardrop on the cheek of time". Taj Mahal means "Crown Palace" and is in fact the most well-preserved and architecturally beautiful tomb in the world. English poet, Sir Edwin Arnold aptly described Taj Mahal as "Not a piece of architecture, as other buildings are, but the proud passions of an emperor’s love wrought in living stones." Drop off to Domestic Airport and departure for Kerala. On arrival you will be received at the airport, transferred to your hotel where you can freshen up. The rest of the day is at leisure relaxing on the beach or exploring the local area. Cherai beach is a beautiful golden sandy beach located in the Ernakulum district of Kerala, South India. Cherai Beach is considered as one of the best beaches in Kerala. This 8-mile-long golden sandy beach, with calm serene backwaters is a must visit world beach. Recommended places to visit are the “Break-water Point”. A place of extraordinary beauty, where the River Periyaar flows into the Arabian Sea, and is situated on the northern end of Cherai Beach. Another place to visit is Lake Poyil – A distinctive place where the sea and backwaters are divided by a narrow corridor of land and a place to witness traditional fisherman casting their nets. Visit local churches and temples including St John’s tomb. Transfer by road 50 Miles/ 2 Hours (Excluding sightseeing & stoppage). We leave for Fort Kochi by road. Afternoon tour includes places of interest, local shopping arcades and more. Visit St. Francis Church, the oldest Church in India. Iconic Chinese fishing nets, a sixteenth century Synagogue in Jew Town and Mattancherry Palace, built by Portuguese. The palace is home to some of India’s finest murals. ** A set of cultural show ticket are also included as complimentary Complimentary tickets for evening show of either of the following: Kathakali is primarily a dance drama form and is extremely colourful with billowing costumes, flowing scarves, ornaments and crowns. Duration one hour. Drop off to the airport to catch your flight for your return journey to United Kingdom. Transfer time to Airport approximately 1.5 hours. Tiger and wildlife safari at the world famous Ranthambore tiger reserve. Within 2 minutes walk from the beach with views of the Arabian Sea, Cherai Beach Resort is a tropical paradise with swaying coconut trees, scenic Kerala backwaters and idyllic paddy fields. It provides Ayurvedic spa treatments,, gym and numerous sun loungers or hammocks along with free Wi-Fi. Other activities include taking a stroll around the lotus pond, lazing by the beach or going on a day trip. Its garden facing air-conditioned villas are equipped with a flat-screen TV, desk and tea/coffee making facilities. The en-suite bathroom comes with free toiletries, and either a bathtub or shower. The onsite Oottupura restaurant serves local specialities like grilled fish, spicy coconut curried prawns and fried lobster. There is also a specialty vegetarian kitchen. Abad Pepper route hotel in Fort Cochin is extremely well located and within walking distance of all the major fort kochin attractions including the beach. It is considered amongst the best budget bed and breakfast hotel in fort Cochin. What it lacks in facilities such as a restaurant etc, it amply makes up by being within close proximity to the boat jetty, Chinese fishing nets, St. Francis church, the fort-Cochin beach and other places of tourist interest. Nahargarh Haveli is a 30-room three star hotel just a short walk from shops and restaurants of M.I. Road. All rooms have air-conditioning and flat-screen TV, with suites have peacock-themed decor. Along with 2 restaurants, this hotel has a rooftop terrace and 24-hour room service. Free WiFi in public areas, and free self parking are also provided. Additionally, concierge services, dry cleaning, and laundry facilities are onsite. Our overall rating is three star and the hotel is a standard hotel with not much in term of general amenities. A 3-star property, Hotel Heritage Mandawa is situated a tclose proximity of Mandawa Fort, Paawana Haveli and Castle Mandawa. Its well-maintained and spacious rooms are complete with modern amenities such as tea/coffee maker, phone, television and a mini bar. Additionally,en suite bathrooms have a shower area, hot and cold running water and come equipped with essential toiletries. Rasila Restaurant serves traditional Rajasthani cuisine. Drinks can be enjoyed at the bar. Alternatively, room service is also available. Ananta Palace hotel provides services such as a 24-hour front desk, 24-hour room service and swimming pool. Additional services include massage and treatment room and an onsite gym. Its restaurant serves Chinese and a variety of Indian cuisines that include Rajasthani, Gujarathi and South Indian dishes. Hotel Ananta houses a selection of deluxe and super deluxe rooms with marbled flooring and are aesthetically decorated with artifacts for a rustic feel. All rooms are equipped with amenities like flat screen colour television, internet access and telephone.